It’s been shown that mindfulness training or exposure protects against burnout, diminishes the intensity of chronic pain and generally increases our happiness. We introduced a mindfulness exercise to the 2nd year medical students this week in the hope of giving them a tool to achieve these goals. It was the well known activity of taking a raisin and really experiencing it – the sound of it being squished between our fingers, its smell, texture, and taste. Our only problem is that we didn’t have any raisins. 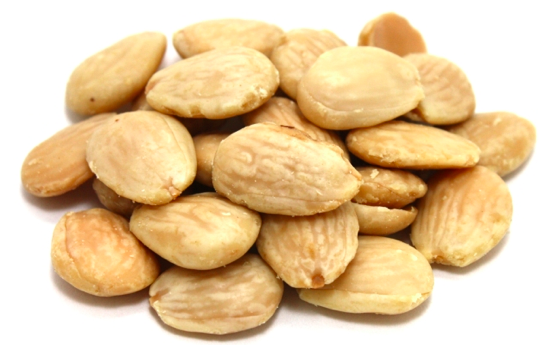 Fortunately, I had a bag of Marcona almonds, fried with rosemary and salt – we could use those instead! The almonds have a lot of texture, and one student admired the shininess of the oil as it reflected off the ridges on the nut. Other students found that the scent of rosemary took them back to camping trips they had enjoyed. What struck me was that when I put the nut in my mouth, I was immediately hit with a burst of flavor – oil, salt and rosemary…delicious! And then came the letdown. The almond was completely tasteless as it sat, whole, in my mouth. I have to admit that I was disappointed – and bored. I might have spit the almond out, if the instructions hadn’t then said to bite into it. So I bit into the almond and chewed it slowly. A subtle, nutty flavor filled my mouth – an understated but truly enjoyable flavor that I had to be quiet and mindful to even notice. If the salt and rosemary hadn’t already washed away, I would never have noticed it. As we all lament, we live in a culture of quickly changing sensory experiences – beginning with Sesame Street when we’re children and continuing into video games and fast-paced action movies. This reliance on constant stimulation has made us jaded and dulled our ability or willingness to notice the subtle experiences of our lives. Because we expect to have something immediately grab our interest, we give up on people or experiences because we judge them not to be worth our time, even before we see what’s inside. I’m going to take a moment or two today to slow down and notice the subtleties of my life. I hope you’ll do the same. Really notice the feel of the breeze in your hair, the warmth of the sun on your face, the feel of your sweetheart’s hand in yours, the smile of the person sitting across from you. I have a hunch that our lives will seem happier and richer because we’re taking the time to truly be in its experience. Let me know what you notice, ok? This entry was posted in mindfulness, physician coach, physician coaching, physician fulfillment and tagged Physician coaching. Bookmark the permalink.